Can We Come Together For Something New? 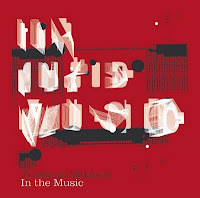 Trashcan Sinatras released the new album In the Music today in North America - roughly about a year after released in the UK. 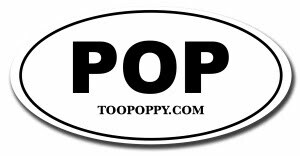 You can stream People on their website right now - People the song not people the people. Not sure how'd you stream people anyway. Check out the video for People here, people. Chapterhouse has reformed! I can thank a stupid Facebook ad for alerting me to a Chicago concert on May 5. Don't know Chapterhouse? Initially lumped in with the British acid rock scene of the time, a mistake hardly rectified by the band's early performances supporting the rather laidback Spacemen 3. Chapterhouse eventually escaped from one genre only to find themselves thrust amongst the infamous shoegazer groups of 1991 (with Lush, Moose and Slowdive), so called because of the bands' static live shows and insular music. Chapterhouse made quite an impact on me in my formative years because they were loud and mysterious yet the melodies were really gorgeous in their own way. It's always a nice surprise to hear them pop up when the iPod is on shuffle! In November 2009 Chapterhouse played their first gig in 14 years, selling out the ICA, London. 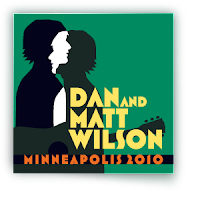 With such a fantastic response from this show, the band has happily agreed to play a handful of shows in 2010 to give fans one last chance to see them play live. Although they are not reforming permanently, they are looking forward to playing together again for these few dates. NPR is now streaming The New Pornographers' new album Together before its release next week. 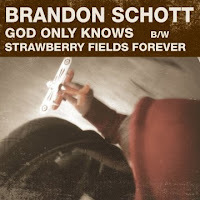 Brandon Schott is releasing his cover of God Only Knows b/w Strawberry Fields Forever as an iTunes exclusive on May 25. To celebrate, he and some friends are "hosting a special evening of music and entertainment at the Renaissance Hotel and Spa in Hollywood California on Thursday May 20, 2010 at 7PM. The event is FREE and open to all ages." For those lucky enough to be able to attend, he'll have 25 signed, limited edition CD singles. Not too convenient for this chump in Des Moines so I'll have to settle for the electronic version! I can handle that. You might recall Brandon's first shot (see what I didn't do there?) at Strawberry Fields Forever as the grand finale of his Homegrown Recordings series featured exclusively here on Too Poppy last year. The free download is gone now - would you be willing to mess with The Beatles' business? - but soon you'll be able to download the new version from iTunes! We'll remind you when the time comes. Rooney is offering a free download of a tune from their upcoming Eureka release. Ok, it will cost you an email address to sign up for their newsletter, but you'll survive. Want another one?! You'll get a free MP3 of the first single I Can't Get Enough just for pre-ordering Eureka. EUREKA! Crowded House is offering their new single Saturday Sun as a free download for a limited time (one week according to a Facebook post)! "This is me goofing off at home after listening to Prince. If only I could rap." You have to be a fan on Facebook. Go here and here to learn more! Free is free! By the way, if you've never picked up last year's fantastic album My Old Familiar Friend, do so . It would do you some good. Dan and Matt Wilson of Trip Shakespeare, etc. fame played together for the first time in many years on 3/26 and they've already released the live performance as a download! Go here to choose from two different version - the music is the same but if you're a rabid fan like a certain someone I know you'll spend five bucks more to get the extras! It sounds like the show is already legendary. Bleu is previewing a few new tunes from his upcoming album Four on Facebook and one of them prominently features Jellyfish's Roger Joseph Manning Jr.! Sounds fantastic - quite Macca-esque. Can't wait to hear the rest. A "Global Exclusive," people! Yes indeed, it's the premiere of Crowded House's new single Saturday Sun. Naturally, it's fantastic. Thanks, Brandon Schott for sharing the video! The House's new album Intriguer will be out in June. Fellow Iowans, can't make it to Lollapalooza but you really really really need to see Phoenix? Right after their stint at Lollapalooza they'll be in Des Moines on August 10 at the 7 Flags Events Center and in Council Bluffs on August 13. Tix for the Des Moines show go on sale April 17. No surprises: Lollapalooza 2010 = Green Day, Soundgarden, Phoenix, Social Distortion, MGMT, New Pornographers, Rogue Wave, Metric, Matt & Kim, Stars, Morning Benders, and many many more. It would be hard to miss this one. Tix are already on sale for the festival August 6-8 in Chi-town. Cubbies are in town so it would make for an unforgettable weekend!